Install the latest NVIDIA GeForce graphics driver (version 304.108 / 319) in Ubuntu 14.04 / 13.10 / 13.04 / 12.10 / 12.04 / 11.10 / 11.04 / 10.04 using PPA. This PPA doesn’t support Ubuntu 10.10. This PPA is from Ubuntu-X team and xorg crack pushers team which updates unsupported packages for your system. For Ubuntu 10.10 you can download the latest NVIDIA GeForce graphics driver (version 304.64) from GeForce official site. Ubuntu 14.04 / 13.10 / 13.04 / 12.10 users, Run the following command in the terminal and type the password for the user when prompted. Others use the Ubuntu-X PPA. After adding the PPA, update your system repository. 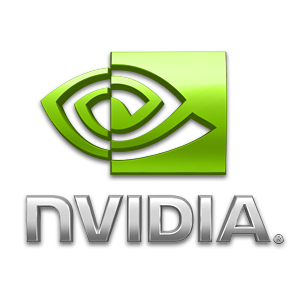 Now install the NVIDIA GeForce graphics driver 304.108 in your system, as you install other packages by using apt-get. Above command will install the driver. Help me, I have installed the driver as mentioned on this page and now my newly installed ubuntu 12.10 wont work correctly. I have no taskbar on the left as expected. the only way I could get into the settings was to right click and go through the display settings whereupon I discover that I have installed some completely different driver and it insists that i have a laptop screen instead of my two screens on my desktop. I need to know how to uninstall this driver and install the correct one, please help me, my system is now unusable. First find your card type & model using this command “lspci | grep VGA”, then install the Driver according to it. To Remove use the below command. 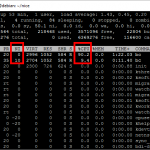 Check which driver is in use using this command “lspci -k | grep -iA2 vga”. Paste the output here, I can help you to install the proper driver and make it work. I’ve tried manually installing from the Nvidia website and using the proprietary drivers but I still have the same problem. Blacklist nouveau driver and re-install the nvidia driver. I am also getting same problem when install nvidia driver . I have nvidia geforce 610 m 1 gb. Problem today (26 Oct 2012): when I do the “sudo apt-get update”, I get 404 errors for the PPA entered here. …and 2 other similar errors for i386 and sources. If I do the next step, I’m sure it will install the “standard” packages from the main repositories, no? Server might have gone down while you were trying to update. Try again, little later. Do you think it still will be back in a while ? I have updated the post, Now you can install the nvidia driver on Ubuntu 12.10 quantal. I think Ubuntu-X team will be back soon. I followed this with your three commands and I now have the fx 4500 installed and running. Thanks to all of you here! I just stumbled upon this site and THANK YOU! I’ve been battling with the graphics driver for a couple of days now. Followed the steps in the post and…PERFECT!!! Thanks again! No FX 5200 – sad, cause my old dump PC, could need some tuning-just installed linux on it, and it’s like a year since I’m using laptop with Intel integrated GPU, and never have been more happier. NVIDIA PLS. I just could not get this solution to work at all for me with Ubuntu 12.10 (64 bit) no matter how many times I reinstalled and tried. However, after installing 12.10 (32 bit) out of desperation and following the procedure outlined above, I now have a working system. THANK YOU! Should the above procedure work on 64 bit AND 32 bit systems? This is not clear from your “How To” article. I am using Linux Mint 14 with Cinnamon. The graphic card is the geforce 6150se embedded in the motherboard. The video is linked throug VGA port to a 1920*1080 monitor. When using the nouveau drivers, I get a max resolution of 1024*768. If I install nvidia-current I get a 640*480 (!). The chipset is correctly seen in nvidia-setting, but I cannot change the resolution. Through the BIOS I assigned the graphic card 256 MB of memory (out of 2 GB total). Can you explain what am I doing wrong? Thanks. ubuntu not detect my nvidia vga how to fix it? Thanks, resolved my issues with Ubuntu 12.10 with an nvidia nvs 285.
but no result. How do i get unity and compiz back? How did you solve this issue? Same problem here, please help! similar problem upgrading 12.04 to 12.10 64b with C61 GeForce6150SE nForce430 after login the screen is unreadable with horizontal lines. 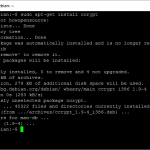 In bash i tryed the commands mentioned here but get from bash command not found for sudo and apt-get login as user or root. Booting with old CD ubuntu 10.10 is working fine. How can recover the graphic mode? Sorry but don’t work in Ubuntu 13-04 with nVidia 6088 XT… when reboot only can use the console. I have in the last year trying to get Nvidia Geforce 610m to work in Mandriva, Mageia, Ubuntu. And the conclusion is again Nvidia 610m is not compatible with Linux. As this description on this website and others, does not work in practice. There are many who would like to help that neither should be allowed to do so. I can not understand, it seems that most ideas from various sites are taken out of thin air. For the rather rare att they work. Netflix is another idea that can be good, because even though you can install Netflix Desktop in some distro, so well as various quality! Still better quality in Win7 here. No, now I have tested Linux for some years with intermittent hardware problem time and time again. We hope Linux can do this gradually, Linux is better in most areas, but multimedia and games should still use Windows. After 3 reinstalls, this is the only advice that worked for my geforce go 7600 and ubuntu 13.10. Others said x-swat which didn’t work, software center drivers didn’t work, drivers from nvidia didn’t work (for unknown reasons). Thanks Mani. I followed the directions listed above. I rebooted. Now after I login I get a blank screen!. Not sure what to do now. I can see my mouse pointer, but nothing else. I am able to login enter my password. After which I see a blank screen. Please help. same problem here, can you please tell me how you fixed it? Hi charles, the exact same thing happened to me. How did you solve this? Remove everything to do with the Nvidia proprietary drivers. If this doesn’t work, shut down the computer, pull out the nvidia card (if it’s a second card and/or you have video integrated on the motherboard), boot as normal with the primary (motherboard) video card), uninstall the nvidia drivers as above, and then put your card back in and you’re good. sudo apt-get remove –purge nvidia* and VOILA. Everything back again. Do NOT Install the freaking driver, happened twice to me. Everything went bad after I installed the hardware updates on my system. The laptop(satellite) updated great but my desktop had a geforce 8600 gt graphics card from NVidia. ( http://www.ubuntuupdates.org/package/core/vivid/universe/base/bumblebee-nvidia ) click on APTINSTALL in red and the software center do the rest. same problem here, can you please tell me how you solved it? For me it appears the DVI port is not working. I know it works with nouveau, but seems to be overheating, so I wanted to try to nvidia drivers to see if that fixed it. So the nvidia drivers work for me for VGA only. I have a NVidia GTX 560Ti. Each time I install the 304.108 driver the screen goes blank after the restart. There appears to be no way to recover from this except for reinstalling Ubuntu. The Ubuntu 13.01 default driver loaded after a new install does not scale the screen properly on any available screen resolution. My conclusion is my graphics card is not supported by Ubuntu. Does anyone know different? After i type the last command it tells me that it can find the nvidia-setting package. What should I do? This took me from 640×480 max. to 1024×768 max. ‘Preciate it! Excellent tutorial, worked like a charm! Thank you! Thanks bro! This is working. Why the Quadro NVS 280 is not in supported list ? This worked brilliantly for me on an old HP Pavilion dv9000 laptop with a Geforce Go 7600 gfx card under LXLE Linux. I’ve finally got my full 1440 x 900 resolution instead of 1024 x 768! Wonderful, thanks!!! Thanks, everything works fine now. thanks NUNO it worked, thank you so much, after that i did not install any new driver it is working.